Interior, vacant Phoenix prefab. 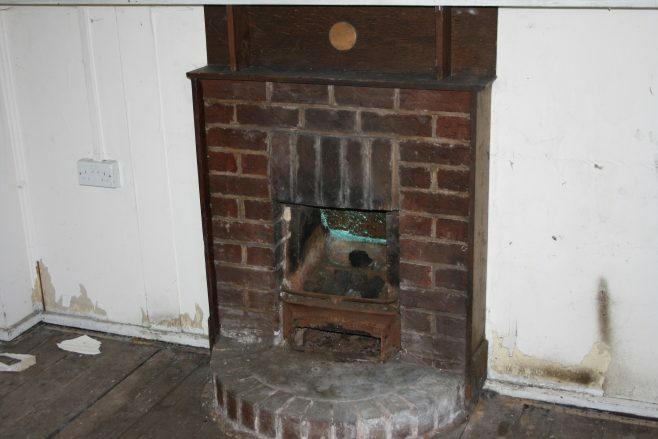 Original fireplace. Photograph by Jane Hearn.